It is so important to provide both good reading material and the example of the Saints in the formation of our children. Teenagers especially need to see and learn from true heroes! 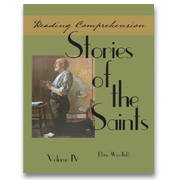 Stories of the Saints, Volume IV contains four, 20-25-page stories of heroic virtue, each accompanied by “Lesson Activities” which encourage the student to delve beneath the surface to understand the faith and virtues of each saint. Researching the relevant geographical and historical facts gives the reader an up-close look at the saint’s life/circumstances. In addition, the many topic choices for essay questions, reports, and biographies challenge the student to put his grammar, writing, and spelling skills into practice. Each of the Stories of the Saints is followed by four pages of "Lesson Activities," including: "Vocabulary," "Terms to Know," "Comprehension Questions," "Analyze This," "Essay Questions," "Quotations," "Geography and History," "Research and Report," "You, the Biographer," and "Putting Your Faith into Practice." Includes answer key. 8½"x11" 106 pages. Over 45 photos and illustrations. “Thank you for the copy of Volume IV of the Reading Comprehension Series featuring the life of St. Katharine Drexel. 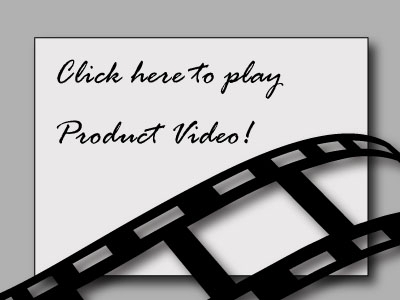 I found the synopsis of her life easily readable, attractive, and appealing to all ages. The text provided ample access to the meaning of the vocabulary words and the terms to know. The section I was most pleased with were the Geography and History and the Research and Report Sections. These questions provided atmosphere and covered so much background history of our country at the time Katharine Drexel's courage served her well.